Adenike Oyetunde is a lawyer and radio presenter from Nigeria‘s economic and cultural powerhouse Lagos. She lost one of her legs due to bone cancer when she was in her early twenties. Adenike, always full of ideas, recently founded Amputees United, an initiative to assist cancer patients and amputees. "I want to help them wade through the storm, because honestly, I went through this, that I may help them on their journey. We at the Amputees United Initiative would love to help them come to terms with their new reality." The Amputees United initiative is born from my personal experience of walking this very interesting road of living without the use of my natural right leg. Very often I say I started not by any choice of mine. I was inspired by the Holy Spirit to so do. I knew I was set out to helping others get prosthetic limbs, and it took me eleven years from the date of my amputation, to finally understand what God would rather have me. Working with the Irede foundation further opened my eyes to this need, even though we already do some of that. I wanted to provide support for persons who may have recently just been told about the need to amputate their limbs.Some times,we pressurise people into getting on with their now new reality. I want them understand it's OK to take time off, almost everything, travel, if they can afford to. It's a new lease of life, and may require some internalising; though I like to tell them, 'take each day as it comes. Amputees United is that group of individuals who are living out that fear someone may have. The two year old Babafemi, or almost seventy year old lecturer Engr. Amosu. As an amputee myself, I desire to see others cut short on the time it takes them to come out of denial, face their new reality and walk with it. I share my journey with people, all of it. The highs and lows, the days of my vulnerability and how I was able to forge ahead, hoping the practicability can encourage them to reach out when and where the need arises. We're a group of amputees from around the world, technology clearly aids that. My fulfilment comes from knowing it's not my idea. I'm merely a 'messenger-in-chief‘ of an idea, to bring my Father's children to the fullness of who they are, regardless of the physical changes in their bodies. Amputees United...let‘s hold hands together! Amputees United is currently running the OneLimbChallenge for amputees and non-amputees alike. Do something with only one limb that normally takes two limbs. Anything from dancing to juggling, from swimming to cooking. Do it for one minute, get it on film and post it on Instagram. Make sure you tag it with #OneLimbChallenge, #amputeesunited and #theactiveamputee. 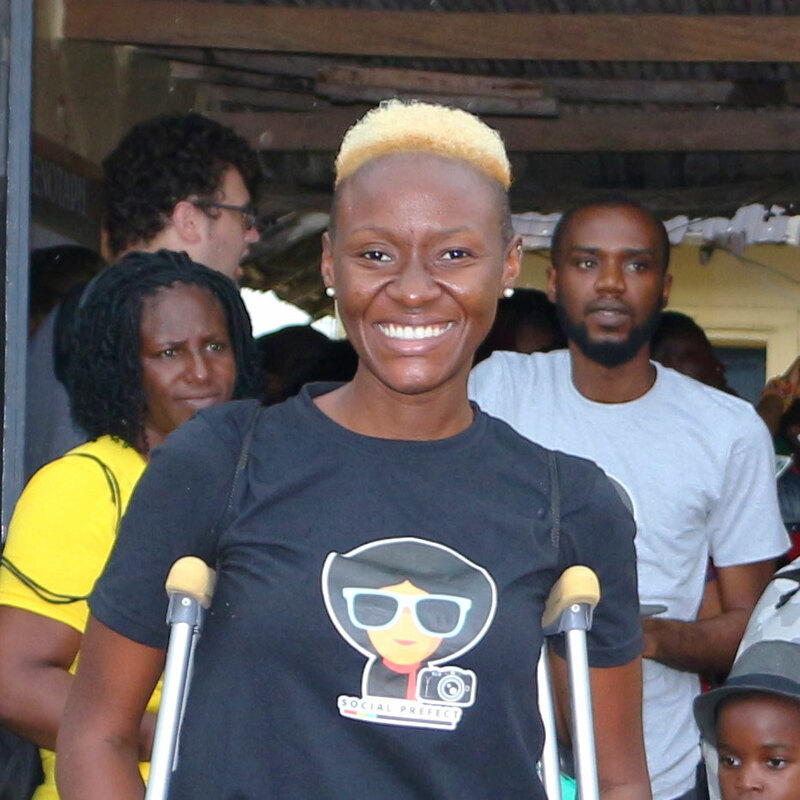 Adenike from Amputees United already has a few videos online. She loves to hear from you and see what you can come up with. Guest post by Adenike Oyetunde. Adenike is a lawyer, radio presenter and disability activist from Lagos. She is the founder of Amputees United, an initiative to give hands-on assistance and encouragement to people who lost limbs, making sure they do not feel alone when starting their journeys as an amputee.